Here in South Carolina, insects can be a major problem. Particularly in the summer months, it’s often tough to avoid mosquitoes, flies, and other bugs. But as itchy as a mosquito or ant bite can be, there’s nothing quite so repulsive as finding a roach in your home. Thanks to South Carolina’s warm, humid climate, roaches are incredibly common. Fortunately, though, roach control is possible. But before you can take the necessary steps to get rid of roaches, it’s important to understand what kind you’re dealing with. That’s why we’ve put together this quick guide to the 5 most common types of roaches here in South Carolina. If you think you might have a roach problem but aren’t sure about which species has invaded your home, you’ve come to the right place. Keep reading to learn more. Of all the cockroaches found in the United States, German cockroaches are the most common. They’re able to breed incredibly quickly, which makes them a major threat to your home. In fact, just one female German cockroach can populate your home with more than 30,000 roaches over the course of a year. That’s thousands of disease carrying cockroaches that could be crawling all over your kitchen. German cockroaches are quite small compared to American or Asian varieties, measuring about half an inch in length. They’re light brown in color, with two dark stripes running down their back. You’ll rarely notice them flying, although they can take flight for short periods of time and at low altitudes if needed. Compared to other roach species in South Carolina, the Smoky Brown cockroach is particularly susceptible to dehydration. As a result, they only tend to exist in places that are moist. This means that keeping your home’s moisture level under control can help to prevent a Smoky Brown infestation. Smoky Brown cockroaches are about 1.5 inches long, with a solid dark brown body and black shell. It’s common to see them flying, too. Here in South Carolina, people often refer to cockroaches in general as “palmetto bugs.” However, this is a bit of a misnomer. In reality, the term palmetto bug is reserved for one particular species: the American cockroach. These cockroaches are particularly long lived, and are actually able to survive for up to two years. They can grow to be up to three inches in length, making them the largest roach in South Carolina. They’re usually a brown or dark reddish color, with light yellow edges on their shell. Like other cockroaches, the American cockroach is capable of carrying and spreading disease. Commonly referred to as a “waterbug,” the Oriental cockroach prefers wet conditions and is less commonly encountered inside your home. When you do end up with an infestation, though, it can be particularly difficult to treat. These roaches are about 1.25” long, and are usually dark brown or black in color. They aren’t capable of flying, although they do have visible wings. Unlike some of the other roaches commonly found in South Carolina, the Brown Banded cockroach doesn’t need moist conditions to survive. In fact, you’ll often find them in a warmer, drier location in your home, such as inside your television or kitchen appliances. They’re smaller than the Oriental or American cockroach, measuring just half an inch in length. Males and females are colored differently: males tend to be dark brown and golden, whereas females are reddish brown and dark brown. Males will fly on occasion, but it’s more common for them to jump than fly. 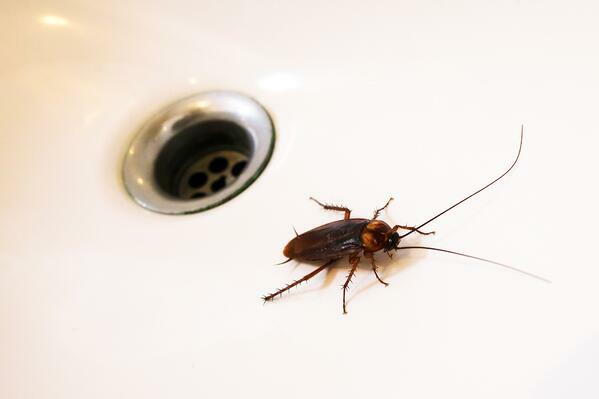 Roaches aren’t just an annoyance: they pose a genuine threat to your family, as they’re capable of carrying and transmitting disease and harmful bacteria. While it’s possible to try to treat a roach infestation on your own, we highly recommend contracting a roach control professional. Here at Home Pest Control, we have the resources and knowledge necessary to rid your home of roaches in a hurry. To learn more about our Home Shield Pest Prevention program, follow the link below.